Pedicures – Heaven or Hell? Feet freak me out. It’s a sad fact, but true, and they’ve always given me the willies (so to speak). I can deal with the fact that I have feet, but, well, just don’t talk to me about them, don’t show me pictures of them, and don’t, whatever you do, touch my feet unexpectedly. More than once, when my mum was training to be a reflexologist and using me as a guinea pig, she got a swift (accidental!) kick in the head after a ticklish manoeuvre. She’s never really forgiven me. First impressions were that the spa is tiny, but very clean, and the staff were all very welcoming. Nicole, my therapist for the day, had been made thoroughly aware of my little … er … problem before I arrived, and she took it magnificently in her stride (see what I did there? I crack myself up sometimes, I really do. Ok, I’ll stop it now), and made sure that I was feeling comfortable at all times throughout the procedure. 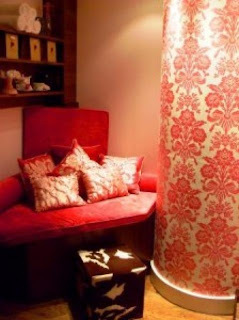 At Aurora, they have a bespoke pedicure room which is liberally strewn with cushions and magazines, which is ideal for it’s purpose (pictured left). As I was having the signature pedicure, which involves a leg massage, I was in the more traditional spa room which was clean, smelled delicious, and had beautifully ironed sheets on the bed. Starting with tea and cupcakes – always a good way to set my mind at ease, at least – we started with removing the old polish, then went onto a trim and file (always the worst part of any pedicure for me), your cuticles are oiled, then your feet are soaked in warm water which is liberally filled with Himalayan salts and essential oils. Once soaked, your cuticles are pushed back and then your feet are massaged with a salt scrub to remove the hard skin. This is where we discovered that my feet are exceptionally ticklish, and there was, I’m afraid, a bit of flinching – sorry Nicole! A file was also necessary on my scaly heels, alas! Feet are soaked again to remove the oils, and then it’s onto the massage part of the pedicure. Two words for this – utter bliss. My feet and calves were given a thorough massage with glorious-smelling oils, and no flinching! I absolutely loved it. Even the bit where she was wiggling my toes … we finished off by painting my toenails with OPI’s India Mood For Love to match my pink patent Birkenstocks (yes, I did buy them, and I LOVE them, so there), and we were done. My toes were looking beautiful, all the hard skin I’d carefully spent the winter storing up on my heels was finally dealt with, and I felt rested and refreshed rather than faintly sweaty, slightly stressed and somewhat resentfully twitchy as I tend to after other, rather more medical (and functional) pedicures. If you’re nervous about feet – and I suspect many people are, after I tweeted about the subject recently – then I can’t recommend the Pinks Boutique Himalayan Signature Pedicure highly enough, the products are organic (the varnishes aren’t, but then, there aren’t any organic varnishes on the market, so it’s not a black mark in my book), the therapists are highly trained, and the staff at the Aurora, Park Plaza will go all-out to accommodate mad phobias. And mad clients, but we’ll gloss over that, shall we? The signature pedicure costs £65 for a 75 minute pedicure, but there is a shorter version which costs £45 for 45 minutes. This sounds like bliss indeed. Thank you for sharing. I love pedicures but like you the 'trim and file' part is the worst and make cringe: i find it physically painful and i hate the shriek as well. Why do they have to be so rough, and quick. As for the 'click' of a toenail clip, eww, horrible noise as well. yikes. I think, if i have a pedicure again, I'll make a point to ask the lady to go super smooth on me, by warning in advance that if at any point she goes too fast, too rough, then I'll have to leave. Such a shame, that tiny 10% of the pedicure always ruins it for me. Im exactly the same. Really detest feet, not just my own but anyone elses. The pedi you had sounds amazing though, I just don't know if I could let anyone touch mine, but then again thats what you thought and you did fine lol. I love feet. I considered training as a podiatrist but there isn't enough money in it. I do. I just love feet. Not in a fetishistic way. Not that it would matter and that's fine too! Great review, it was interesting to read about your experience! I've only had one pedicure so far in my life and afterwards I had problems with inflammation near my nails for over a month. I'm not going back, thank you very much. 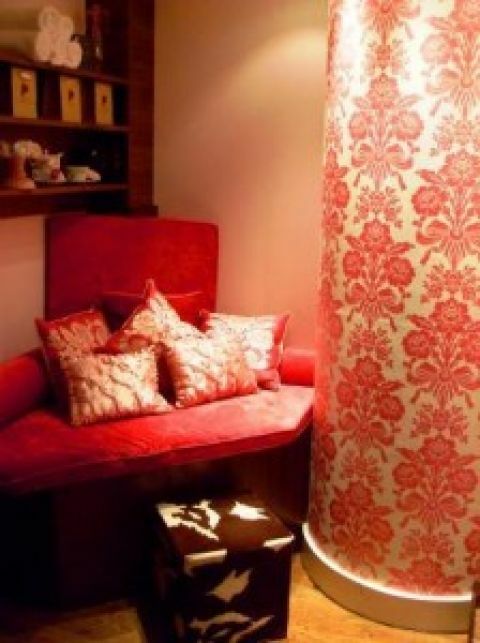 The salon was new, OPI authorized and very expensive. I hate feet,well… other people's feet I suppose! I do love a good pedicure though. Couldn't get enough of the when I was pregnant!! I hate feet,i dont even like touching my own never mind someone else touching them! pedicures give me the willies! Feet are weird enough and to have someone touching mine…uggh! I'd love to have a pedicure but I wouldn't want to subject anyone to my weird hobbit feet! I had an 'incident' with a concrete block when I was a kid and as a result have orrid toes!